Presteigne Reserves endured a disappointing day in their Mid Wales League (South) game at Brecon Northcote Reserves on Saturday, 9 February. The Reserves ended up on the wrong end of a 6-1 scoreline with Curtis Williams reportedly on target for Alan Stocker’s side. To be fair, the fact Northcote were forced to pull their first team out of the MMP with Norman Lloyd League earlier in the season might well mean their Reserves are now stronger. 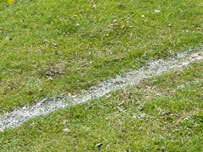 But, even allowing for this, there is no getting away from the fact this was a disappointing outing for the Reserves. The result takes Brecon Northcote Reserves above Presteigne Reserves in the Mid Wales League (South) table. The Reserves are now ninth in the 12-team table but they do have a game in hand over Brecon Northcote Reserves. Alan Stocker’s side will return to Mid Wales League (South) action on Saturday, 16 February when they will head to Newcastle.